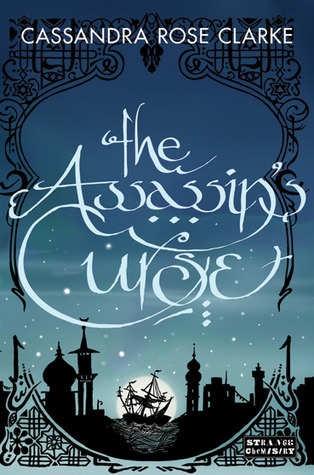 The Assassin's Curse is only the beginning to a series that will sweep readers into a fantastic world filled with pirates and magic! Cassandra Rose Clarke introduces a humorous and adventuresome heroine with a knack for finding trouble. Ananna knows just about everything there is to know about being a Confederation pirate and the way of life on sea. However, when she runs away to avoid an arranged marriage her parents have planned, Ananna realizes that she's hopeless when it comes to staying out of danger and away from magic. Naji, the assassin sent to kill her by her parents' scorned ally, is cursed with an impossible curse which Ananna triggers with a thoughtless action. Their journey together begins as they search for a way to break the curse, traveling far and into dangerous territories. Ananna and Naji complement each other very subtly because they're complete opposites, but they are a perfect team nonetheless. Where Naji is fierce and intimidating, Ananna is actually a little harder to peg. She has big dreams and little fears, and while she's not always confident in herself she has enough attitude to make up for it. Surely, Ananna will be a surprising character throughout the series! Clarke has created an extremely unique voice within Ananna that sets The Assassin's Curse apart from many young adult novels. Her dialect isn't prim and proper, but that of a seasoned pirate. Though raised among thieves and sketchy characters, Ananna is compassionate and not always quick to judge. She's a conundrum whose story readers will love following. The story sets a quick, steady pace that will leave readers hanging on to the very last scenes for dear life. Fantasy and adventure lovers will be thoroughly sold to this series after just a little taste of The Assassin's Curse! Arghh, I ignored this one on NetGalley because I have a tall heap of books to read, but your review just told me that I was an idiot for doing that! I will make sure to pick this up in the future though. Thanks for the review!